"At once a scholar's homage to The Iliad and startlingly original work of art by an incredibly talented new novelist....A book I could not put down." "Mary Renault lives again!" 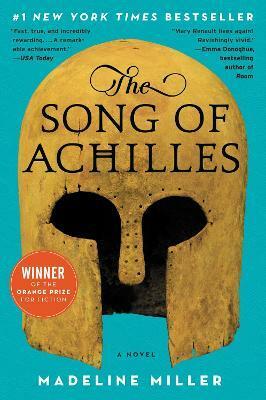 declares Emma Donoghue, author of Room, referring to The Song of Achilles, Madeline Miller's thrilling, profoundly moving, and utterly unique retelling of the legend of Achilles and the Trojan War. A tale of gods, kings, immortal fame, and the human heart, The Song of Achilles is a dazzling literary feat that brilliantly reimagines Homer's enduring masterwork, The Iliad. An action-packed adventure, an epic love story, a marvelously conceived and executed page-turner, Miller's monumental debut novel has already earned resounding acclaim from some of contemporary fiction's brightest lights--and fans of Mary Renault, Bernard Cornwell, Steven Pressfield, and Colleen McCullough's Masters of Rome series will delight in this unforgettable journey back to ancient Greece in the Age of Heroes. Achilles, "the best of all the Greeks," son of the cruel sea goddess Thetis and the legendary king Peleus, is strong, swift, and beautiful-- irresistible to all who meet him. Patroclus is an awkward young prince, exiled from his homeland after an act of shocking violence. Brought together by chance, they forge an inseparable bond, despite risking the gods' wrath.